A Lightweight Shoe -I’ve talked a lot about the adidas Boost shoe, and this one is designed to be lightweight and fast. It’s super flexible so it packs easily and is only 6.6 ounces. Just think about how little that will affect the overall weight of your bag. It’s almost negligible. Also, because the color is so spot on for fall, I throw it on to run errands with jeans or leather leggings. 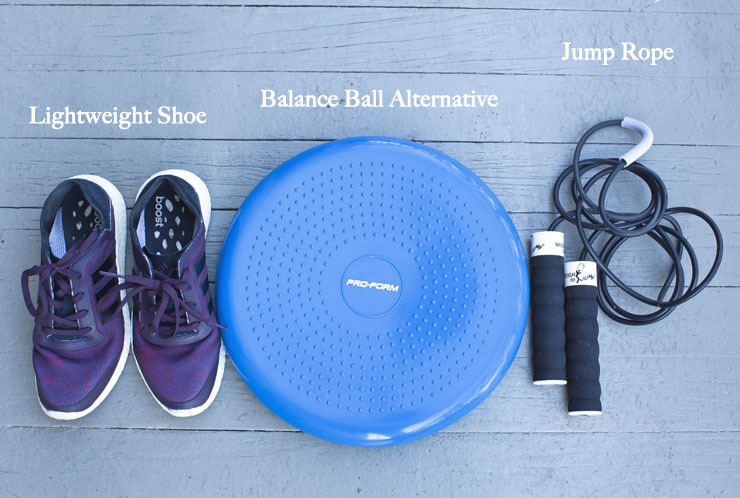 A Balance Ball Alternative - Could you imagine if I walked into the airport with a giant exercise ball! Hilarious and obviously not happening. To get a similar effect of stability and resistance but for much less space I throw in a balance disc. It’s a great way to take forearm planks or side sliding lunges up a notch in the hotel room. Jump Rope - This is probably my favorite way to lean out and build cardio all at the same time. I’m so obsessed with the level of focus and clarity that comes with a good jump routine. I come up with most of my ideas while I’m jumping rope. Love, love it and I never travel without it. 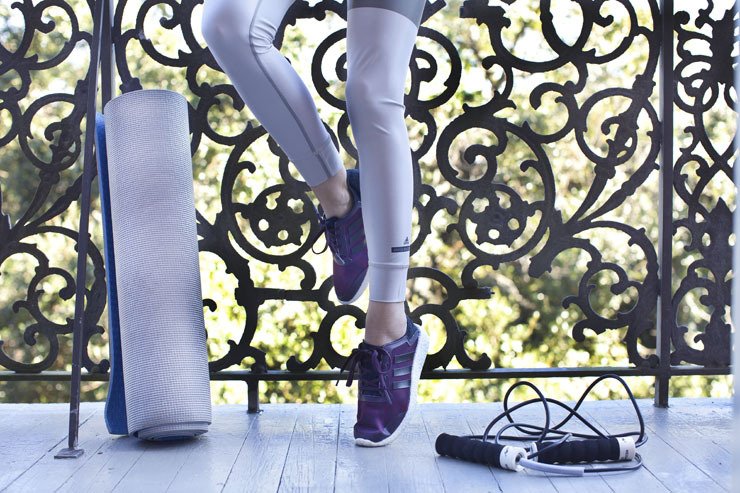 Those are my top travel fitness items and it will definitely inspire me to capture some of this on the road and share even more tips as they pop up!